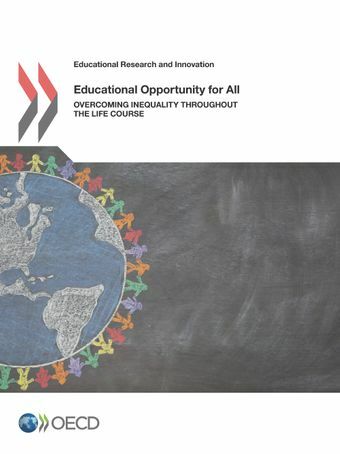 Equitable educational opportunities can help to promote long-lasting, inclusive economic growth and social cohesion. Successful education and skills policies can empower individuals to reach their full potential and enjoy the fruits of their labour, regardless of their circumstances at birth. However, as this report shows, far too many children, students and adults from socio-economically disadvantaged backgrounds fall behind. In many countries, substantial learning gaps exist between students at opposite ends of the socio-economic scale, and these differences tend to increase in the transition into adulthood.All countries have ample room for improvement to ensure better learning outcomes for all. Early childhood education has been identified as an important element in future success, and requires investment, as do family and community-based support and programmes for children from families that have not attained a high level of education and skills. In the schools, targeted support is necessary for low performers from disadvantaged backgrounds and for poorly performing schools. As for the adult population, learning should be focused on improving employability, through a combination of education and practical job training. Barriers to participation in learning need to be removed, and delivery methods need to be more innovative and flexible. Targeted support is needed for the most vulnerable members of society. Gabriela Ramos, Chief of Staff and G20 Sherpa, presents the main findings of the report, with Dirk Van Damme, Head of Division, EDU. More efforts needed to help children from disadvantaged families succeed.